Politicians must reflect on the policy decisions they have made that mean single mothers go without food or women are unable to leave a violent home, writes Senator Rachel Siewert, as she reflects on the impact of the controversial ParentsNext program. We have recently had an intense reflection on sexism in our Parliament and our community. But our society’s attitudes to women are not just reflected in the chamber and then echoed in some media outlets. Attitudes to women are reflected in our social policy. In the legislation that passes through Parliament. Two examples come to mind, the ParentsNext program and the cuts to Parenting Payment. In 2006 the Howard government started to move sole parents, the overwhelming majority of whom are women, from the Parenting Payment to Newstart, once their youngest child turned 8. In 2013, 80,000 sole parents (who were grandfathered in 2006) were transferred by the Gillard government to the lower Newstart Allowance. Subsequently, the poverty rate for sole parents, remembering these are predominantly women, has risen from 35 per cent in 2013 to 59 per cent in 2015, a stark increase that can be directly related to this policy. The ParentsNext “pre-employment program” was rolled out nationally last year at a cost of $350 million. This program claims to assist parents to plan and prepare for employment by the time their children go to school, but this is not what sole parents are telling us. Once placed onto the program participation is mandatory and participants are required to meet with their ParentsNext provider, agree to a plan and then carry out the plan’s activities and meet regularly with their provider. Failure to attend a meeting with your ParentsNext provider or undertake the compulsory activities results in payment suspension. During the two year trial of the program more than 3,500 participants had their payments suspended. Participants have been mandatorily required to attend swimming lessons, playgroup sessions and activities such as “story time” at their local library. One woman reported that she had her payment suspended for failing to attend a “story time” session as her child was in kindergarten that day! Last year a mother of three young children contacted me, distressed her payments would be cut as she could not attend her scheduled ParentsNext provider meeting which clashed with her son’s pre-surgery medical appointment. When she explained the clash to her provider, she was reminded that she was obligated to attend anything they schedule or her Centrelink payments would be suspended. Another mother was in her final year of a psychological science degree but was required to drop down to one unit per semester in order to remain compliant with the “job ready” plan her ParentsNext provider prepared. Job prospects for trained psychologists remain excellent. Nearing the end of her degree, she is now looking at taking two to three years to finish. All because she feared losing her parenting payments. Another parent had her payment completely cut after missing just one appointment, despite studying full time and actively applying for jobs. A single mother with existing qualifications in health who was accepted to study Midwifery in 2019 requested exemption from the program. The response from her ParentsNext provider: “If we exclude everyone from the program, we won’t get paid”. These programs directly punish single mothers and their children, it makes their lives harder and assumes they aren’t capable. They are being prevented from doing things that are in their child’s or their own best interest in order to undertake pointless activities. These government decisions have deliberately targeted single women – these programs are sexist and should be called out as such. Feminism, the empowerment of women, whatever you want to call it, will not be fully realised until it is intersectional and crosses the lines of class and race. That means more privileged women are not “empowered” at the expense of those typically excluded from politics, like women of colour and lower socio-economic women. Diminishing impoverished mothers this way diminishes us all. We know that budget savings measures, such as when Howard and Gillard chucked single mothers onto Newstart, will always hit those with the least. These measures have lifelong impacts for children growing up in poverty on their health and developmental vulnerability. This should not be happening in a society as wealthy as our own. Next time we are given a lecture about how good the Coalition is at “managing the economy” and from Labor about how idealistic the Greens are, let’s really think about what their policies, their savings measures and their budget “surpluses” actually mean for the daily desperate lives of women and children who deserve a fair chance in life. I want all my female colleagues to feel safe and respected in Parliament but I also want them to reflect on the policy decisions they have made that have meant single mothers regularly go without food so their kids can eat, or the women unable to leave a violent home, simply because they didn’t have any money or any place to go. 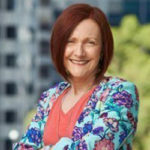 About the author: Senator Rachel Siewert is a member of the Australian Greens parliamentary team. She is co-deputy leader of the Australian Greens and Party Room Whip. She holds the portfolios of Family, Ageing and Community Services; Aboriginal and Torres Strait Islander Issues; and Mental Health.